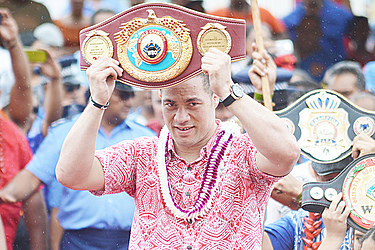 Samoa’s world heavyweight boxing champion, Lupesoloai La’auliolemalietoa Joseph Parker, is a man who needs no introduction. We know he’s a tough man in the ring. But what is hard to understand is that he is such a gentleman outside the ring. His humility is what sets him apart from the rest. 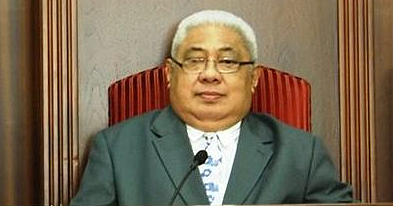 When the Samoa Observer contacted him for the “People of the year” nomination, he was chuffed. Needless to say, Parker is not just a champion in the ring. He is also the people’s champion and if the parade of the year last week was anything to go by, he is a young man with bigger future ahead. Whether it’s his skills in the ring, his momma’s boy attitude, his love for his people or even his quirky smile, Lupesoliai’s infectious character has led him to become more than just a boxer. Born in South Auckland on January 9th, 1992, to his loving and extremely supportive parents, Dempsey and Sala Parker, Lupesoliai had his eyes on the prize from a very young age. From as early as four years old, Lupesoliai began learning how to throw those coordinated million dollar punches with the guide of his first mentor, his father Dempsey. Yes, Lupesoliai has mentioned it countless times, his inspiration is his parents, but the sweetness of that line still doesn’t wear out. “The inspiration is drawn from my parents,” he told the Samoa Observer. But don’t let his charm fool you, being involved with the sport of boxing for about 20 years now has turned his hands into a pair of lethal weapons. During his amateur boxing year of 2009, the champ officially began to find out what victory tasted like by winning New Zealand Golden Gloves Tournament in Palmerston North. He then continued on becoming the New Zealand Amateur Heavyweight Champion in 2010 and 2011. This began a streak of victories leading up to his W.B.O. heavyweight belt. But he has always known in his hearth that he will one day become the champion of the world. “At a young age, probably four years old, I started boxing,” he said. “My dad has always loved boxing and the same goes for me. At the age of 12 I had my first fight and I always believed that I would become the champion of the world; I just didn’t know when and I didn’t know where but I always knew that was my goal." “But it was through the inspiration and support of my parents that I was able to travel the world and fight as an amateur boxer till I went professional." But that’s enough on the big tough 6’4 man in the ring. What interests people most is the young man, whose crackling voice and tearful eyes touched everyone’s heart during a state lunch in Samoa held in his honor which followed the parade of the year. Who is Lupesoliai without the boxing gloves? “When I’m not boxing, I play instruments,” he began. “I love playing the guitar and piano; I can’t sing though but I love playing instruments. I love to go fishing and I also love eating oka (raw fish in coconut cream)." “I have a lot of things that I love besides boxing. I mean, every time I am in Samoa, I love to run up the mountain at Tapatapao and jump into the river and then relax." And for a man always carrying that red and blue Samoan flag around and bearing two big chief titles, Lupesoliai expressed how much interest he has in learning more about his heritage. “Ever since I was young, I would always come to Samoa for holidays,” he said. 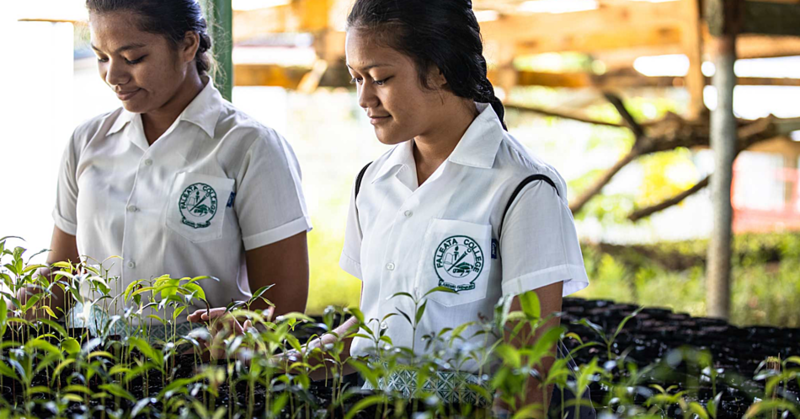 “Being here in Samoa enabled me to learn about the Samoan Culture more. My speaking isn’t the best but I try here and there." “I am going to try to learn the language a little bit more so that I can actually represent our country and say more things. But yeah, I am learning more and more about our culture, about these titles." With many petty arguments arising on whether the champ fights for New Zealand of Samoa, Lupesoliai set the record straight and said, both. “The past three years, I have been living in Vegas,” he began. “I hardly go back to New Zealand unless it’s time for fights. I consider myself born in New Zealand but with Samoan heritage." But even after becoming the toughest boxer in the world, no one can beat time; so when asked what his plans are for retirement, Lupesoliai says that he just wants to be able to build a nice house for his parents. “My parents want to stay here for good,” he said. “I know that when I continue to do well then I will build them a nice house here. Maybe up at Tapatapao because my dad wants to live up in the mountains."